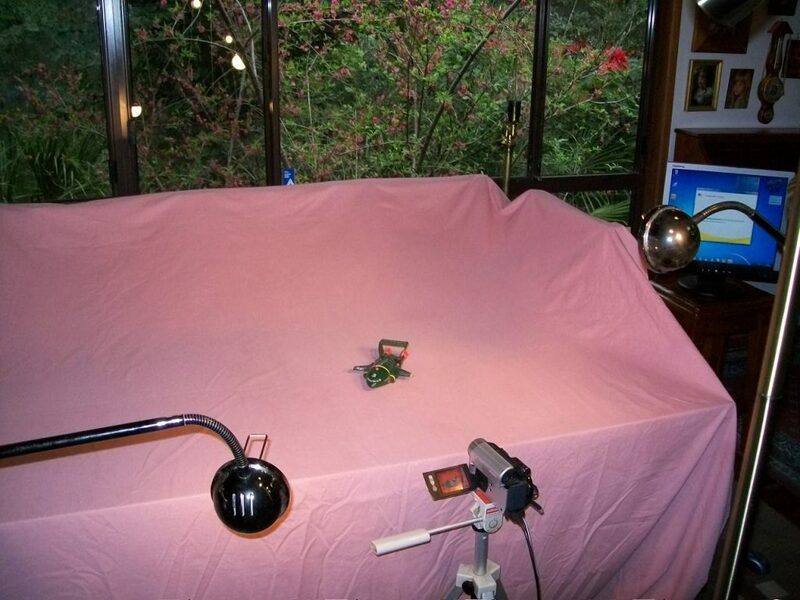 Here you see a tempoary miniature studio I have set up to help with Christopher’s latest Grade 9 video project – an animation. 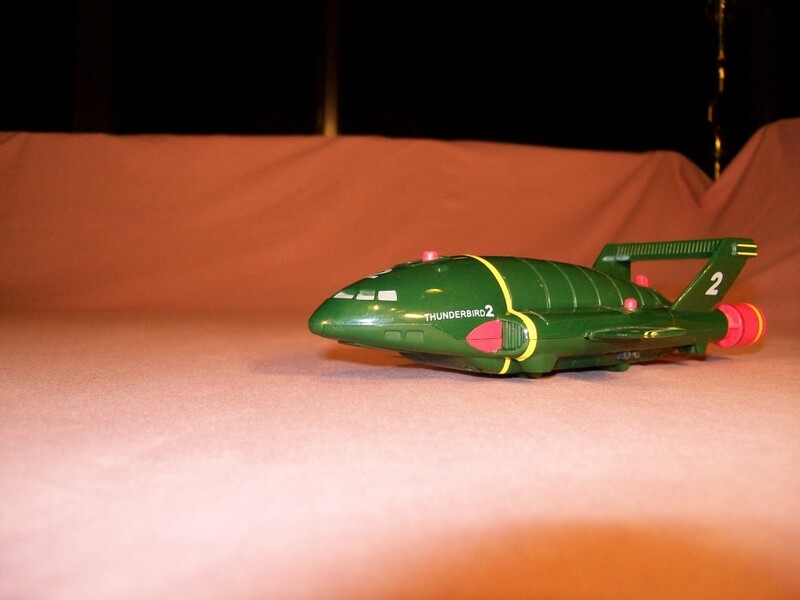 Commandeering the dining table, a double bedsheet and various portable lights, I have tried to imitate a full-scale ‘greenscreen’ studio (it can be any colour really; technical term: chroma-key) in which to film an animated sequence featuring his Thunderbird 2 model. Chromakey is that little bit of video magic that allows for one image to be superimposed on another, eg., a TV weather reporter standing in front of moving weather maps, or an actor standing in pretty much any movie landscape by ‘keying out’ a specified coloured background, making it transparent. The screens first developed in the 1970s were blue, until Walter Cronkite and others had transparent holes where their blue eyes should have been, with moving backgrounds visible through them! Our Sony Vegas Movie Studio computer program has a chromakey effect so the plan is to shoot a stop-frame animation of an apparently full-scale Thunderbird 2 taxiing from our garage, along our driveway, and launching into the sky. So far I have been less than gobsmacked with Vegas’s chromakey effect; but very impressed with the opportunity provided by the school for the development of the creative impulse. No doubt, the final animated video will be available on youtube in the coming weeks. ~ by Garry on July 25, 2010.